One Ukrainian soldier was killed and another three were wounded in the Donbas conflict zone in the last 24 hours, presidential administration spokesman for the Anti-Terrorist Operation Colonel Andriy Lysenko said at a briefing in Kyiv on Wednesday, according to an UNIAN correspondent. "In the last day, we lost one Ukrainian soldier, and another three were injured as a result of military clashes in the village of Zaitseve and the town of Avdiyivka," Lysenko said. 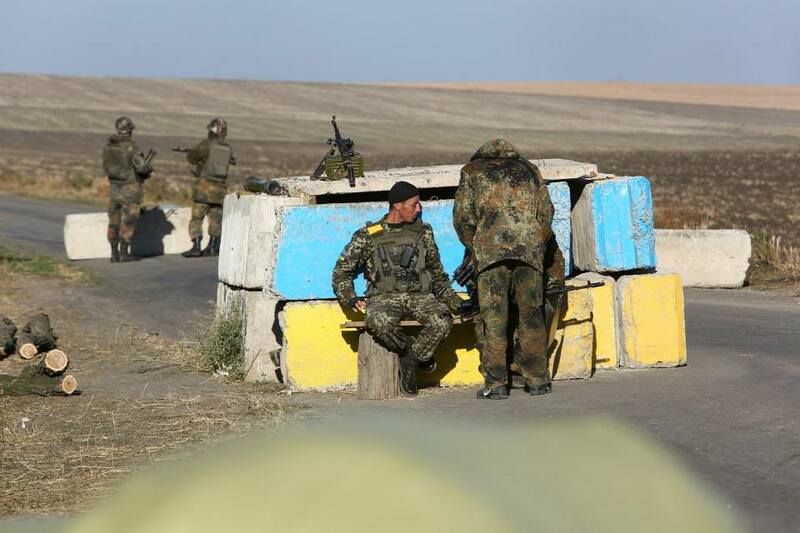 Read alsoATO HQ: Militant attacks in Donbas on rise in last dayAs UNIAN reported earlier, on May 30, one Ukrainian soldier was killed and another two were wounded in the Donbas conflict zone.